Mercedes C Class review Running Costs, MPG, Economy, Reliability, Safety | What Car? The C Class is one of the most expensive executive cars you can buy; like for like, it’s costlier than the 3 Series or Audi A4 and a lot more expensive than the A3 Saloon, Superb and Passat. What’s more, these high prices mean high P11D values. 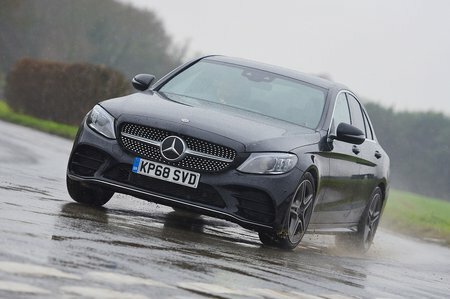 This, combined with CO2 emissions figures that are no better than those of the most efficient rivals, means the C Class is actually quite expensive in terms of benefit-in-kind (BIK) tax for company car drivers. That said, the hybrid C300de will make a more compelling company car choice when it arrives in mid-2019. Thanks to its diesel engine being teamed with an electric motor, with a battery big enough for a claimed 30 miles of electric-only range, its average CO2 emissions drop to a tax-cutting 42g/km. Diesel models’ fuel economy figures are impressive, although they don’t quite match the class best; petrol versions, meanwhile, are way off the pace. Fortunately, if you buy a C Class instead of leasing it, resale values will be relatively strong. Don’t expect the high-performance AMGs to be cheap to run; fuel, insurance and servicing costs will all be decidedly hefty. Even entry-level SE models get a worthwhile specification, including 16in alloy wheels, sat-nav, man-made (Artico) leather seats, climate control, cruise control and a rear-view camera. However, we’d definitely recommend adding Airmatic air suspension to smooth out the ride. Sport adds larger, 17in alloy wheels, full LED headlights, flashier interior trim, heated front sports seats and front and rear parking sensors. This trim also gives you the option to add the Premium and Premium Plus packs, but these are pricey. You can pay even more by going for AMG Line trim, but we don’t think the extra (mainly cosmetic) kit is worth the additional cost. The AMG 43 and 63s get larger alloy wheels as standard, plus a full AMG bodykit, AMG sports seats, a flat-bottomed performance steering wheel and nappa leather upholstery. Mercedes-Benz came 26th place out of the 31 manufacturers sampled in the 2018 What Car? Reliability Survey, above Jaguar but below Audi, BMW and Volvo. 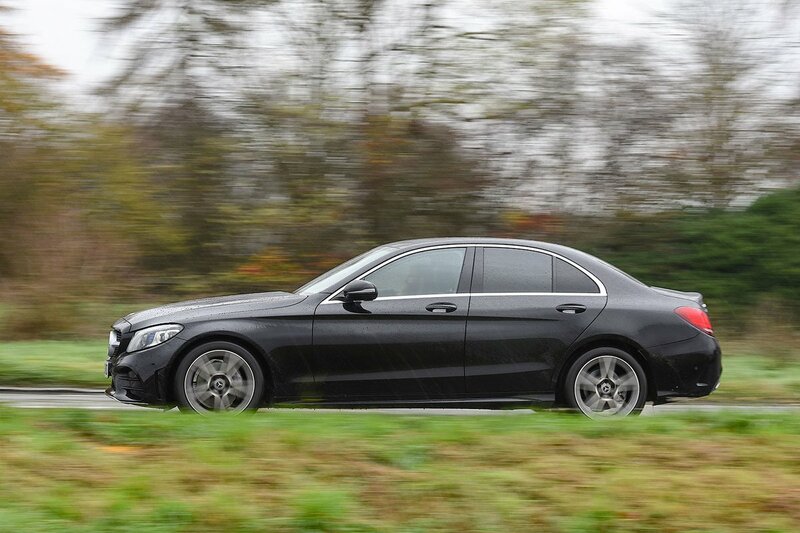 The C Class itself didn't do too well, either, proving to have more faults on average than the 3 Series and A4. You get a three-year, unlimited-mileage warranty and three years of breakdown cover. That’s similar to what most rivals offer. All C Class models get automatic emergency braking, a tyre pressure monitoring system to alert you if you have a slow puncture, multiple airbags and a system that can detect if you’re getting drowsy on a long journey. This all helped the C Class score impressive marks in its Euro NCAP crash test in 2014. It was awarded the maximum five-star overall rating, along with good scores across the board in the individual categories. Its 92% adult occupancy protection rating is better than what the A4 achieved, for instance, although its child occupancy protection score of 84% is slightly lower. 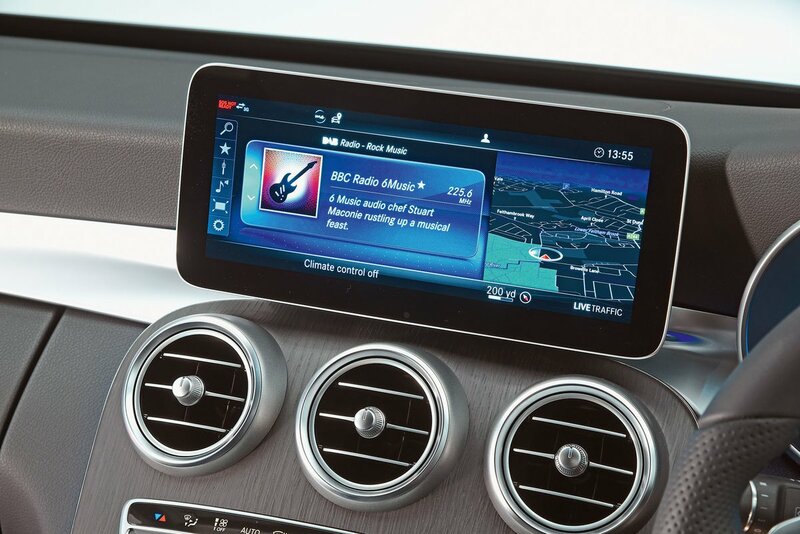 An alarm and engine immobiliser are standard on all versions, while security expert Thatcham awarded the C Class five out of five for resisting theft and four out of five for resisting being broken into.